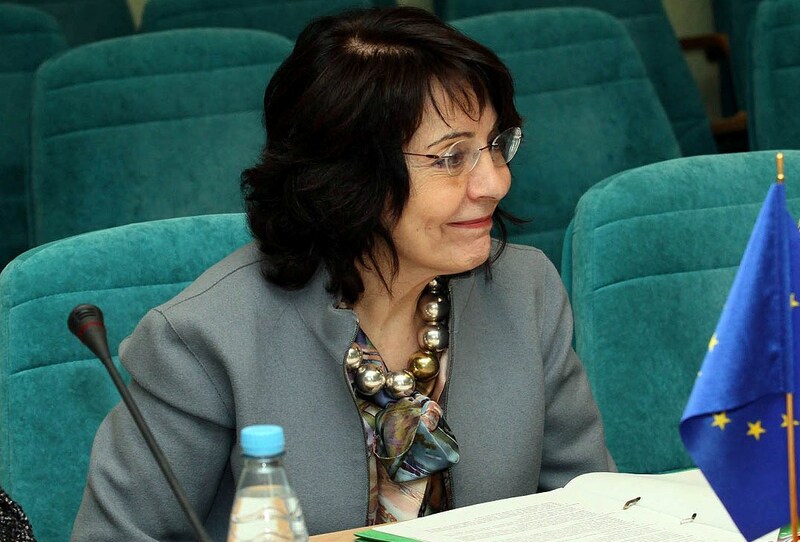 The European Commissioner for Maritime Affairs and Fisheries, Maria Damanaki visited Ukraine on Thursday 14 February to discuss Black Sea regional cooperation. 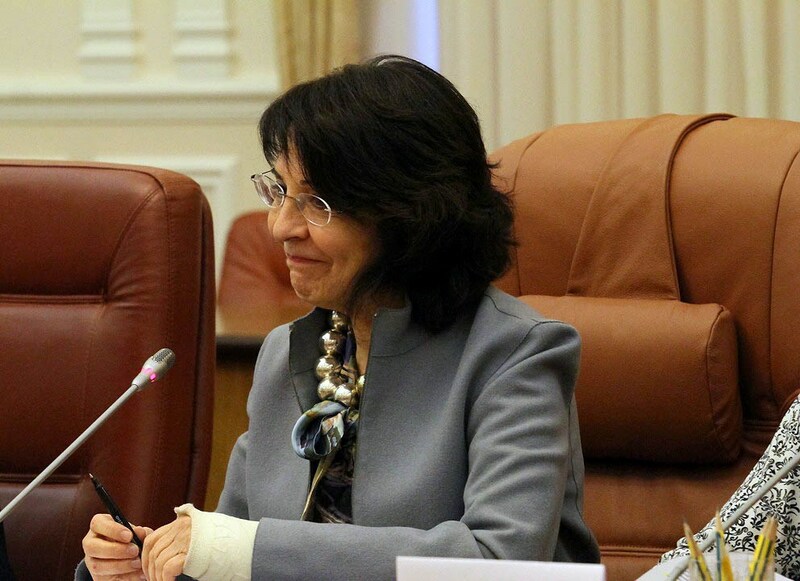 In Kyiv, Ms Damanaki met with the Ukrainian Prime Minister, H.E. Mr Mykola Azarov, Minister of Ecology, H.E. Mr Oleh Proskuriakov, Deputy Minister for Infrastructures, H.E. Mr Volodymyr Korniienko, Deputy Minister of Foreign Affairs, Mr. Andrii Olefirov, and the Chairman of the State Agency for Fisheries, Mr.Victor Dronyk. At the end of her visit, we talked with Ms Damanaki about major EU-Ukraine cooperation prospects in maritime and fisheries policies. Commissioner, let me start with the Black Sea Synergy initiative launched in 2008. In June 2012, in Istanbul, you said you intended to “revitalise” it. What are the priorities of this renewal? The Black Sea Synergy was an initiative of the European institutions developed a few years ago. For the time being we have elaborated just the environmental pillar [and] today we can try to have some concrete results. We are also trying to expand this pillar to some other fields. That’s why during my meeting with Ukrainian authorities I have mentioned the need to boost our scientific cooperation – for example, focusing on development, coastal transport, tourism, etc. The first step is to create a common database, which would reflect the situation of natural resources, stocks on the sea basins etc. For the moment we have separate databases developed by different countries, and they are sometimes incompatible. But Black Sea Synergy is not the only way of our cooperation in the Black Sea Region. We are participating in the Organization of the Black Sea Economic Cooperation as an observer; we also have the Bucharest Convention [on the Protection of the Black Sea Against Pollution]. There are a lot of relevant structures and we are going to use all channels to achieve results. You mentioned the scientific cooperation on maritime issues. One of your recent ideas was to create a comprehensive map of European sea beds. Do you want also to involve Black Sea into this project? Yes, I hope we’ll have it by 2020 – the seabed map of all the sea basins around Europe. We have very good experience, for example in the Baltic region. But this is a project that we cannot do alone; therefore we need cooperation from our partners. Ukraine is a country with a big potential in this field. The Black Sea region is a bit complex from the policy viewpoint. There are two EU member states (Romania and Bulgaria), states covered by Eastern Partnership policy (Ukraine and Georgia), a country covered by EU’s enlargement policy (Turkey), and a country with which the EU has the relations of ‘strategic partnership’ (Russia). Do you see this as an institutional barrier to develop common projects? Not at all. The idea of scientific cooperation is that we can proceed with it no matter what the status of each country is. As scientific data is more objective, it is easier to have cooperation on these issues. If we want to have sustainable exploitation of seas and oceans, we need this cooperation. What we are trying to do now is to create channels that will work for years, and will be independent from political issues. But of course, if we sign the Association Agreement with Ukraine, everything will be easier. What reforms does the Association Agreement facilitate in Ukraine in the maritime and fisheries policies? There are a lot of reforms connected with fisheries and maritime sector in general. We have finalised a procedure with Ukraine about combating illegal fisheries. In order to have a compatible system that will facilitate our imports and exports of fisheries products, we need to have a common or at least compatible system of certification of catches of fisheries products. This system is on the agenda of the [Association Agreement] reforms. Energy is another issue: we have ideas how we can work together to protect environment, for example, with regard to seabed drilling exercises. Ukraine has a political orientation to this Agreement. Now we need the administration capacity to achieve results and implement all the ideas. Good willing is not enough; we also need results. Last year the European Commission proposed a new Common Fisheries Policy, which was recently backed by the European Parliament. What do you want to achieve with this new approach? This is a radical change, which took us many years. First, it concerns sustainability of the fish stocks. Indeed, on the one hand, we have to take as much fish as we can from the seas, as this gives prosperity to our fishermen and to our economies. On the other hand, we have to balance how much we can take from the sea in order to leave enough in the sea to be reproduced. It’s like having a capital in the bank: you have to remove some money from the bank, but you have to also invest some money into the bank in order to have a life. Now the danger we face is the possible depletion of the stocks, which can lead to a situation when our children will have no fish to eat. We need scientific advice [on how] our fish can reproduce for years and years. And in order to achieve this goal, we have to abandon a practice of discarding fish and throwing it back to the seas. This practice was our fault, as the fishermen had to obey our rules and quotas [defining the quantity of fish a fisherman can land] and had to throw fish back to the sea. So we have to change the system, to stop discarding fish, to have everything landed, as fish is very important and precious food, and we cannot afford throwing it away. The 2nd pillar of the new policy is about the economic profitability of our fleet. We have to subsidise fleet, but in a smart way, giving money for better gears, for example to have cameras on board or better equipment to get in touch with the coast, etc. The 3rd pillar is regionalisation: we want to create sea basin structures, [including] for the Black Sea, where countries around the sea sit together and agree on common policies. If they do agree, the European Commission will facilitate their common approach. This will be a great change because for the moment everything is decided in Brussels, which is not very productive. We are also changing our policy of labelling fish products: it will be easier for consumers to know where the fish was caught, whether it is fresh or frozen, etc. Besides, we are going to boost our aquaculture [i.e. the farming of aquatic organisms]. As we don’t have enough fish in the seas, aquaculture is a real alternative for overfishing. This gives also an opportunity for land-locked countries, as this approach is applicable not only for seawater, but also for fresh water.